However, the organization asserts that Brazilian athletes will not be affected and Team Brazil will still be able to participate in next year’s Winter Olympics in Pyeongchang. RIO DE JANEIRO, BRAZIL – Late Friday, October 6th, the International Olympic Committee (IOC) announced it had taken the unprecedented step of suspending the Brazilian Olympic Committee (COB) and its disgraced former President, Carlos Arthur Nuzman. Following his arrest on Thursday (October 5th), the IOC has announced it has suspended both Nuzman and the Brazilian Olympic Committee, photo internet reproduction. The IOC’s move came a day after Nuzman, along with Leonardo Gryner, the general director of the Rio 2016 Organizing Committee, were arrested as part of a probe into allegations they helped buy votes to secure Rio de Janeiro’s hosting of the 2016 Games. “The IOC Executive Board (EB) has taken note and discussed the circumstances of the allegations against and the arrest of Carlos Nuzman, in particular concerning the vote for the host city of the Olympic Games by the IOC Session in 2009,” read the IOC statement. With respect to Nuzman, the IOC said the former honorary member was also suspended and would provisionally be stripped of all the “rights, prerogatives and functions” deriving from his IOC status. In addition, the IOC announced it had immediately ousted Nuzman from the coordination commission for the 2020 Tokyo Olympics. Importantly, the IOC asserted that “to protect the interests of the Brazilian athletes” the decision had no bearing on Brazil’s participation in upcoming Olympics. In addition, the organization also stressed that Olympic scholarships to Brazilian athletes would continue to be honored. The 75-year-old Nuzman led the COB from 1995 and spearheaded Rio’s successful bid to host the 2016 Games over other finalists, Chicago, Tokyo, and Madrid. 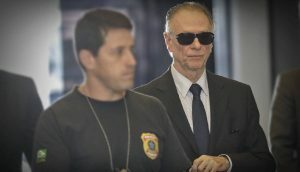 He is accused of arranging more than US$2 million in bribes to get the IOC to pick Rio and faces allegations including corruption and money-laundering. In a statement released over the weekend, Nuzman officially submitted his resignation as COB President claiming he wished to focus on clearing his name.